I signed up for the Great Food Blogger Cookie Swap with cookieswap@loveandoliveoil.com with Lindsay and Julie. It is a secret Santa style swap- so I am not supposed to contact my matches until after the swap! Lindsay and Julie told me not to ruin the surprise. I am terrible with secrets, this is killing me! 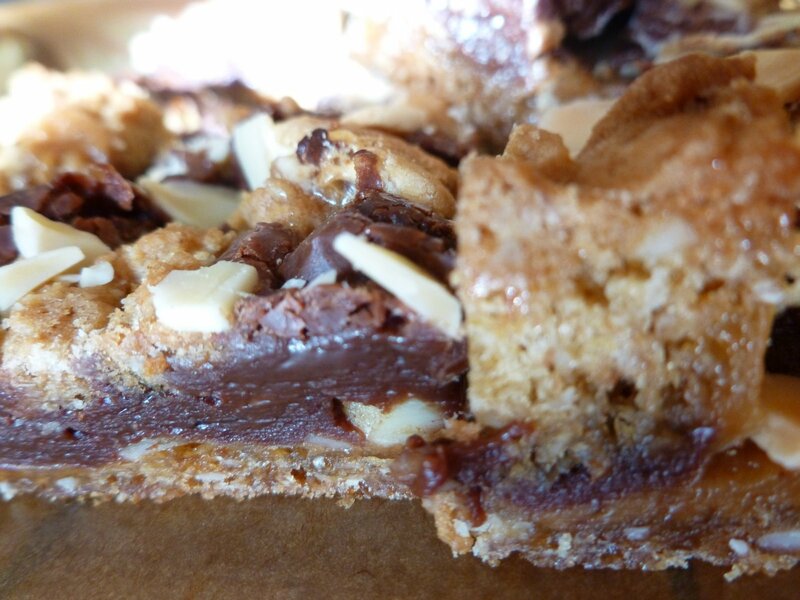 I want to call my swap matches and ask- Did you get the cookie bars? Did they arrive in bars and not crumbs? Do you like them? Do you really ? Huh? Huh? Oh yeah, this is torture! So far, I have received one dozen cookies from my secret Santa and they were oh- so- yummy! 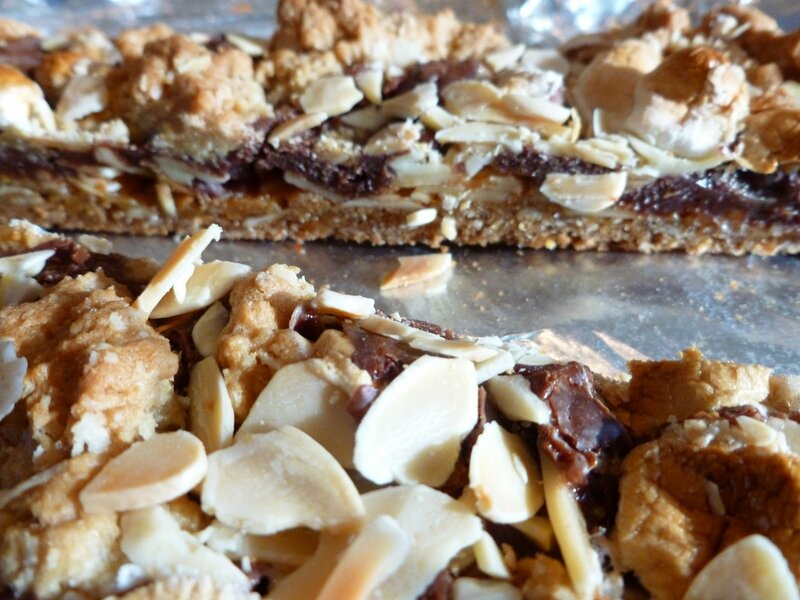 I baked over three dozen bars and shipped one dozen cookies to three different people! I can’t wait for the responses! 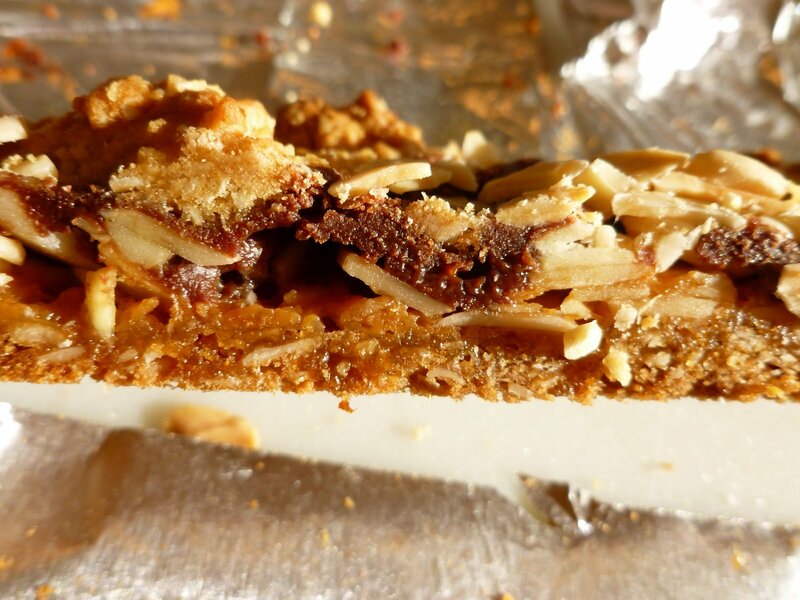 These bars are so dreamy and delicious, your kids will be fighting over them, Amy’s kids were- LOL! 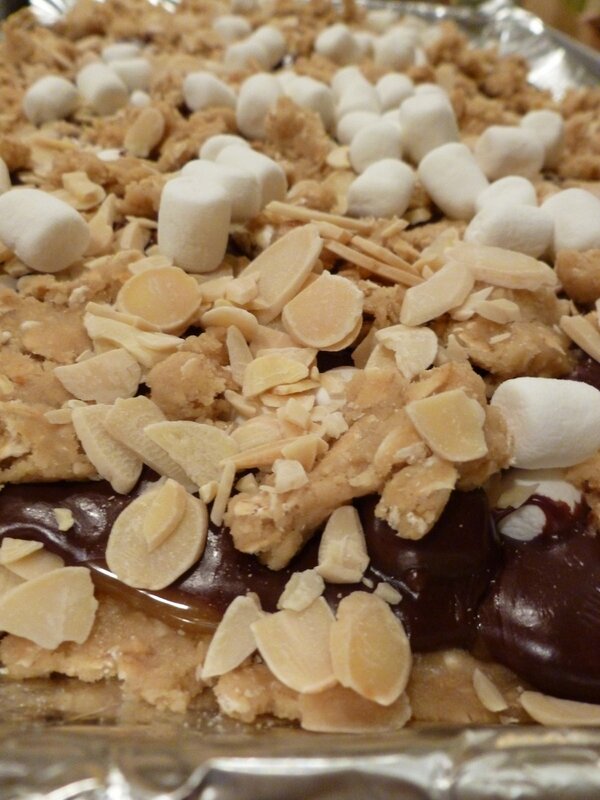 All of my favorite cookie bar ingredients, Oatmeal crust, caramel, chocolate, roasted almond slivers, marshmallows…..YES!! 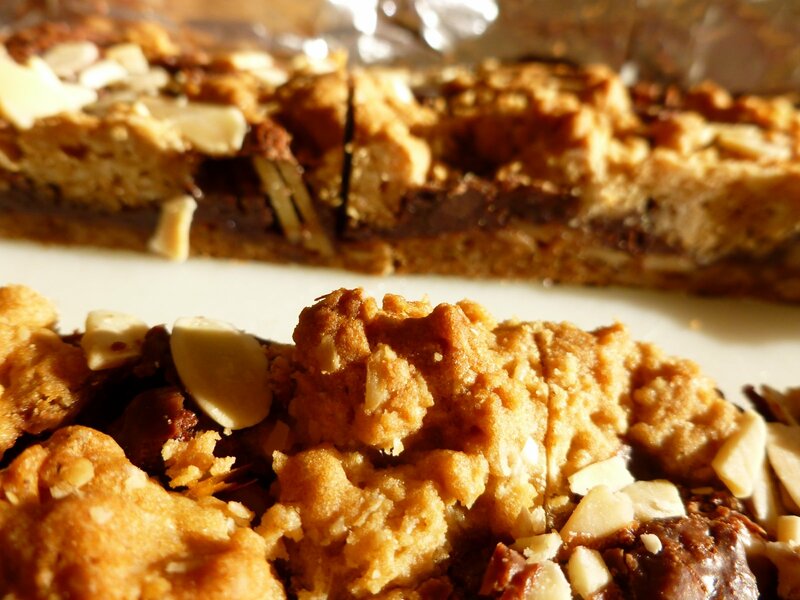 This is what the picture looks like in the magazine- oh please let my cookie bars turn out like these! It came out better than the photo! Press ⅔ of mixture into bottom of 9×13 pan. 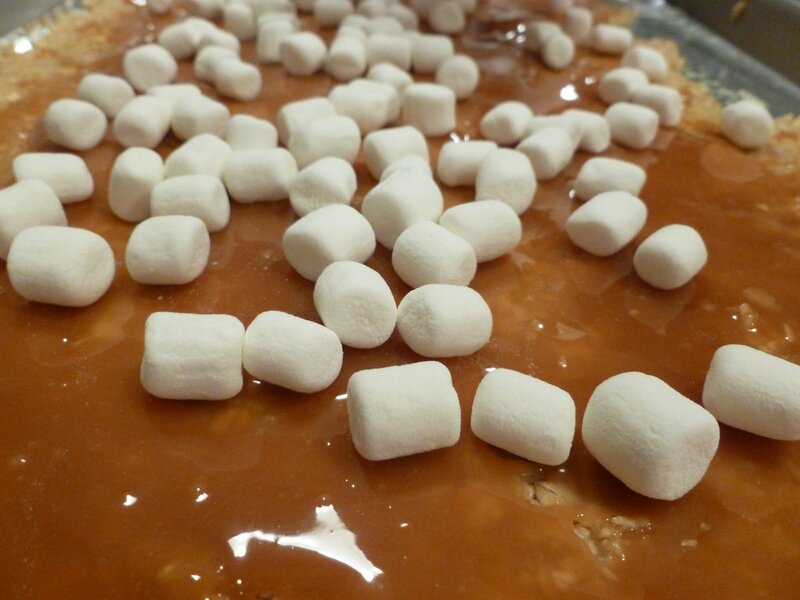 Pour melted caramel over top and spread evenly. 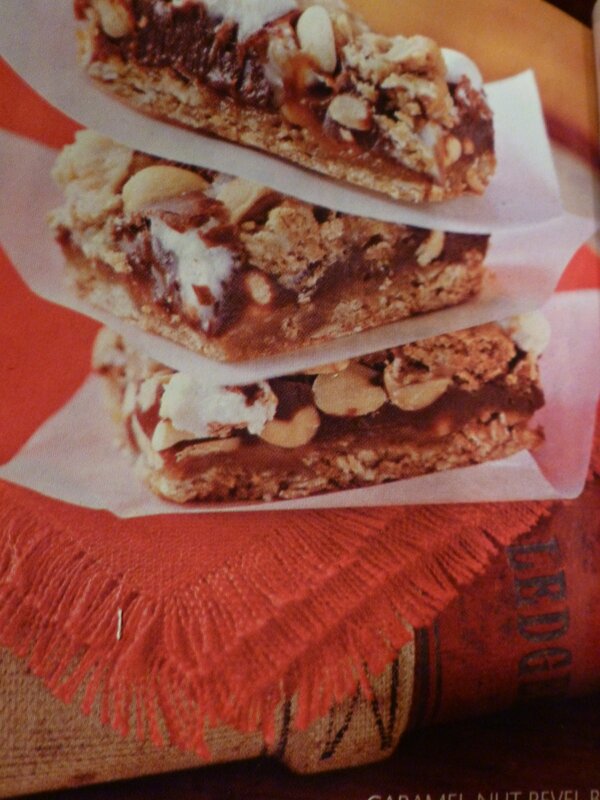 Sprinkle on chocolate chips then almonds and then marshmallows. 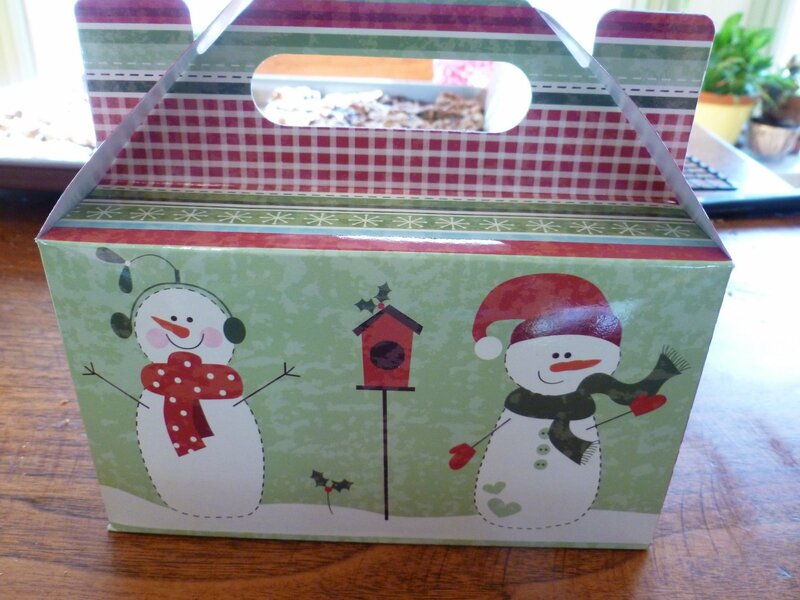 These are the adorable boxes that I used for the cookie swap! 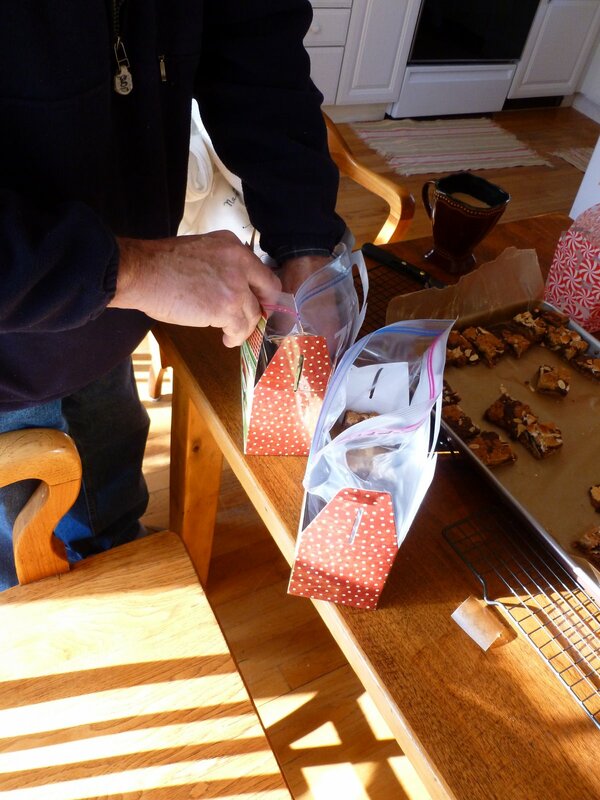 Santa’s elf helping me with packaging and wrapping the cookie bars! 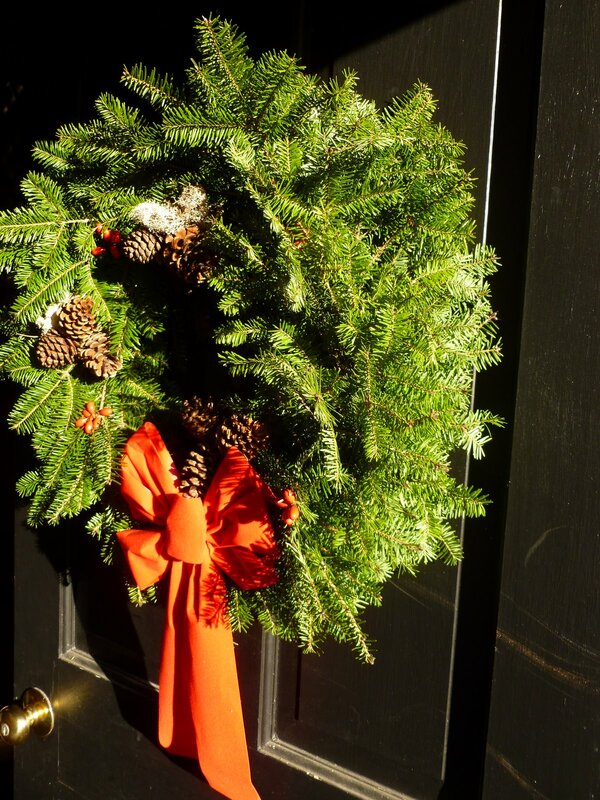 My Christmas Wreath that I made with help from Sweet Annie Designs. 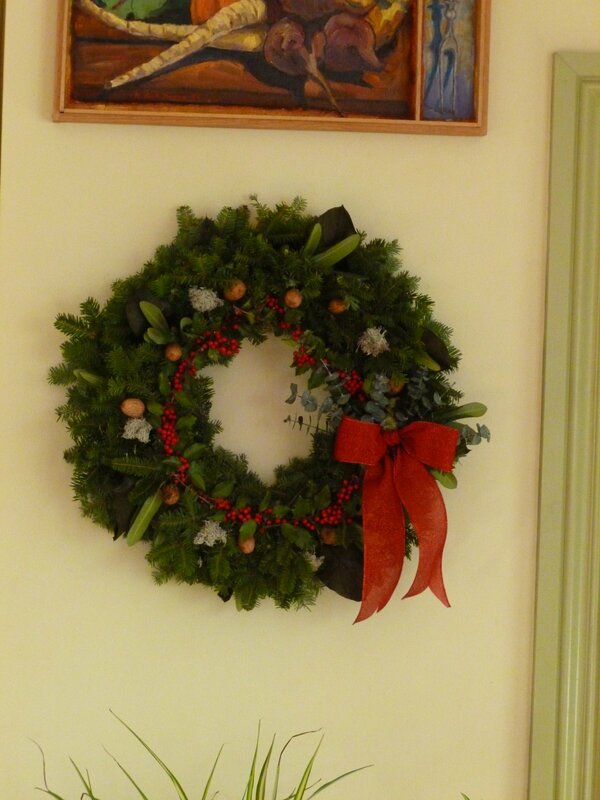 One of the Christmas wreaths from Church. My beautiful bouquets from my loving friends and paper whites about to pop! Merry Christmas 2011! 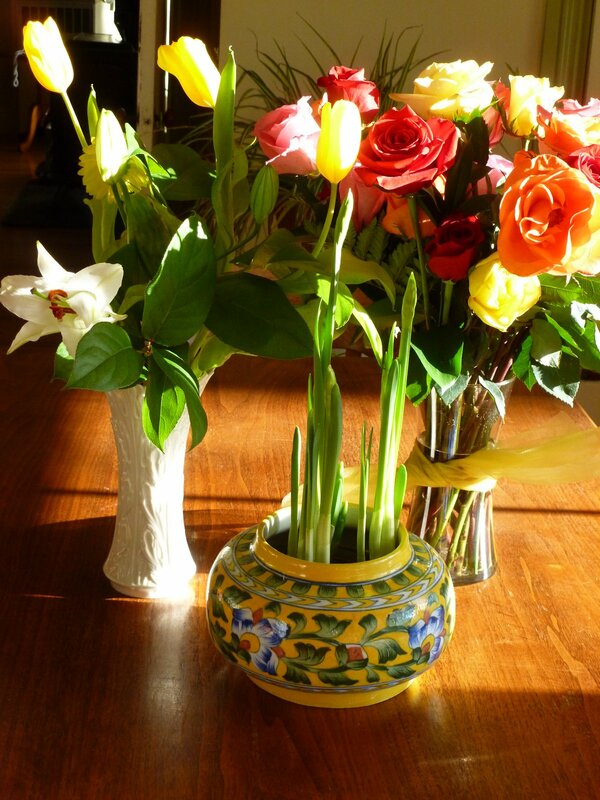 Love, Nettie This post has been linked up to some of my favorite blogs!! 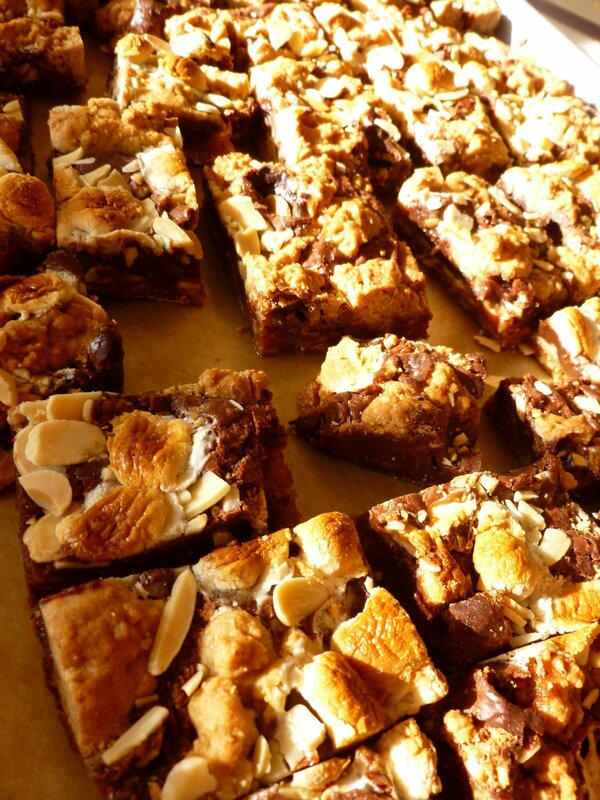 Nettie, you are KILLING ME today with those close up photos of those bars – I just want to eat one right through the computer screen. YUM! They look SO good! And how cute are the boxes? What a nice presentation. I'll have to keep an eye out for those for when we bake for our neighbors. 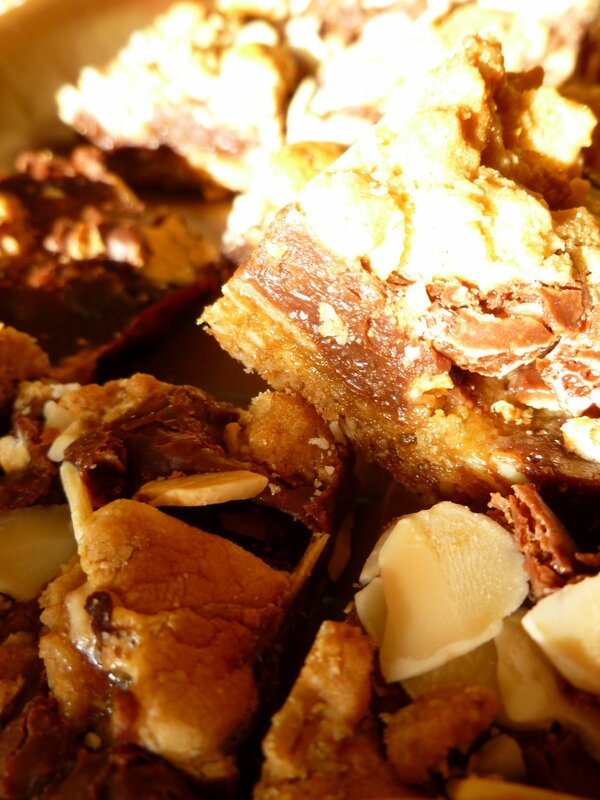 Off to check out that fudge recipe! well my mouth is WATERING!!!! YUMMY!!!!!!! i want one right now!!! thank you for sharing your fabulous cooking talents and creativity with us and thank you for stopping by the cottage market!!! so glad you did! 🙂 i am now your newest follower! sending holiday hugs to you and yours and can't wait to see the other wonderful creations you come up with!!!! Love your recipes but anytime I try to print out ingredients using your print button I get pages and pages and more pages. Any suggestions? Thanks! You know when you go on a web page and you want to print out a recipe (who wants to take their lap top into the kitchen when they’re rolling out pastry??!!! 1. Well, you save this link below in your book marks on your computer. 4. and paste the link where you are told to (at the top of the page). The brains start working and making the page all nice for your printer to digest! Saving you paper & ink money. Thanks for the hint but I can’t find the link – am I missing something?